Opus is proud to present a very special show at the idyllic Merlin Theatre. Nestled in a leafy Nether Edge location this is a chance to see 2 fantastic songwriters in a beautiful intimate setting. Opus & Now Then are proud to present one of the true rising stars of the festival scene with a multi room party at Sheffield's music institution Yellow Arch Studios. 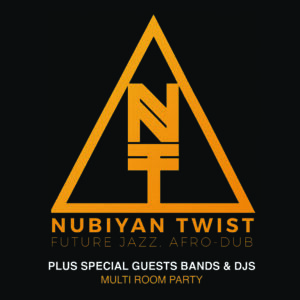 Recently signed to Stut records (think Seun Kuti, Ebo Talyor and Sun Ra), Nubiyan Twist’s new label mates speak volumes of the quality you can expect from their 12 piece live shows. Effortlessly blending Future Jazz, afro beats, heavy dubs and blistering musicianship into their own sound is no easy feat.